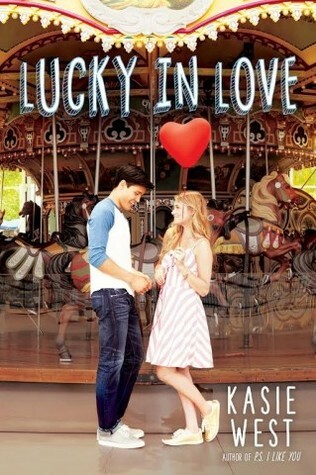 Goodreads description--Maddie doesn't believe in luck. She's all about hard work and planning ahead. But one night, on a whim, she buys a lottery ticket. And then, to her astonishment -- She wins! I love Kasie West. She's one of the most consistent authors that I've read. What are you waiting on this week? Let me know! This sounds really cute! I've never read anything by Kasie West, but I see her name everywhere on blogs and everyone seems to love her. I might have to check out some of her books! This book is on my tbr too, can't wait to read it! PS: Love your blog name it reminds of the song by Keane, was it inspired by that song? Ooh great pick! Though I didn't like the one book by Kasie West that I've read, I was definitely in the minority. I'm interested to see if it was just a fluke and I'll love her just like everyone else. At least, I hope that happens! I hope you love it. :) Here is my WoW! She's one of the most consistent authors that I've read. I hope you get to check out some of her books. Thanks for stopping by Angela! I hope we both love it! And yes, by the way, my blog name did come from the Keane song. :) I loved the idea of books taking up "somewhere only we know" (we being other readers). So yeah, it just seemed to fit. Thanks for stopping by and commenting! Exactly. I think it'll make an interesting read. Thanks for stopping by Laura! Sorry you didn't enjoy Kasie West in the past. I've found her books to be so consistently good (and clean). I hope you find one of her books that you do like so that maybe it was just a fluke. Thanks for stopping by Genni!